General Conference is a few days so I wanted to get this to you in time for you to use it! I'll add extra pictures of the finished product late. This post is going to be short and sweet but full of some fun ideas. 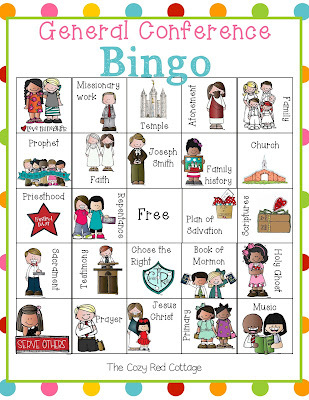 I actually put this together for activity days (find additional ideas for this at the end of the post) but will also be using it for my family. As always if you have any trouble downloading one of the files please let me know! 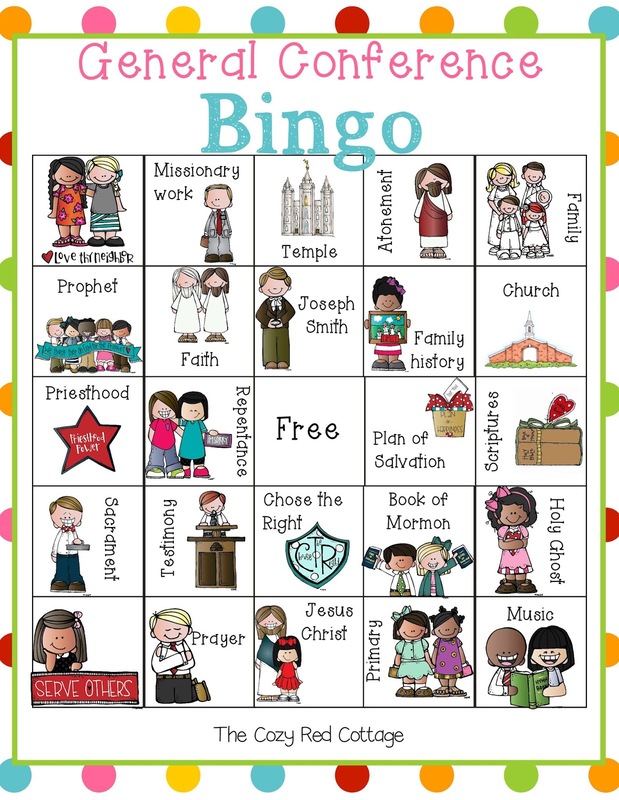 First up is General Conference Bingo. There are a lot of cute ones available (check pinterest) but I can't help myself when it comes to making something with adorable graphics. And Melonheadz's graphics can't be beat. There are 6 different board and 2 sizes. 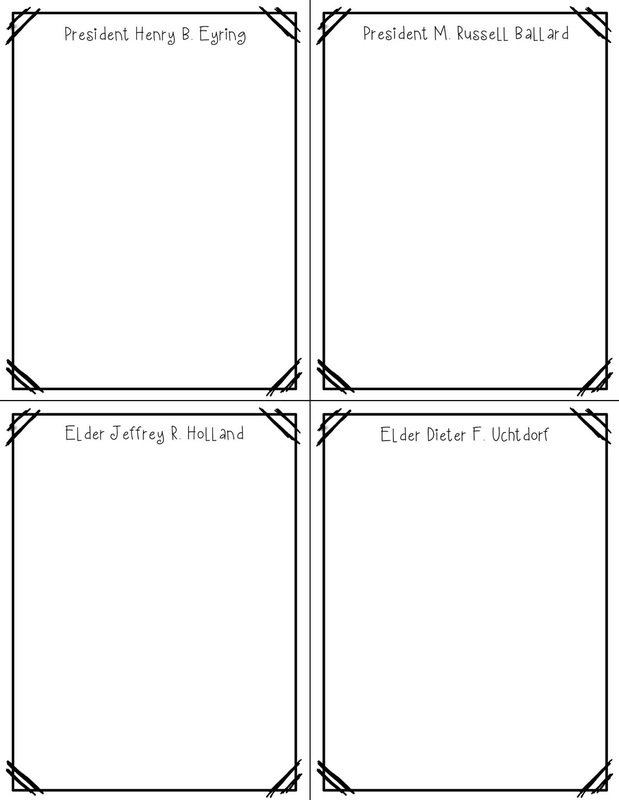 If you need more boards let me know and I'll try and put a few more variations together. This can be played 2 ways: 1. While watching Conference listen for the words on the board. 2. Use the cute calling cards below and play over and over. 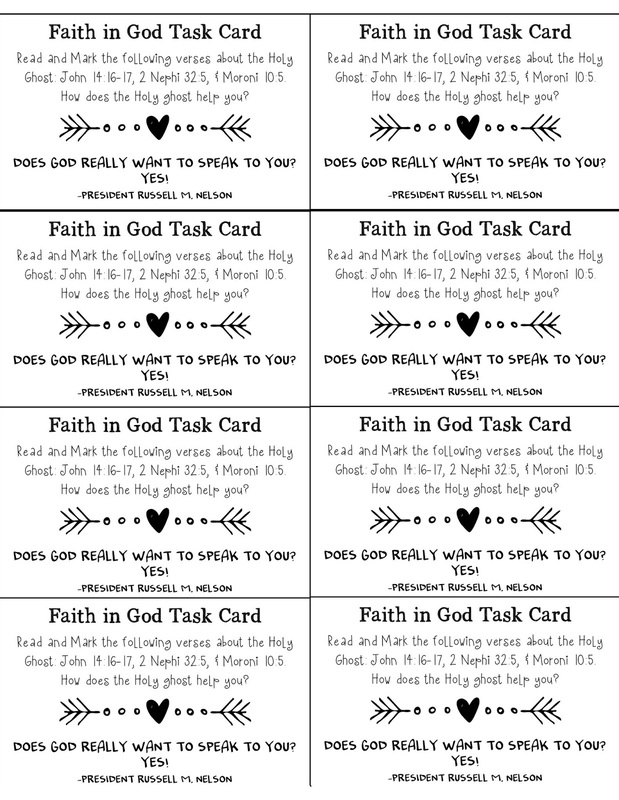 Calling Cards OR Match Game: Print one set to use with the Bingo game above or Print 2 of each page on cardstock and use as a match game. Mini Notebook. There is one page per apostle & the Prophet. A cover page, a question and answer page (w/ quote for the youth), and 3 extra blank pages. 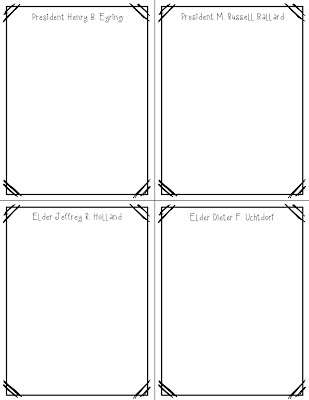 Print (preferably on cardstock), cut the pages apart, hole punch the top corner, and add a book ring. These can also be used after conference as you re-read and study the talks. You can find more general conference ideas here. 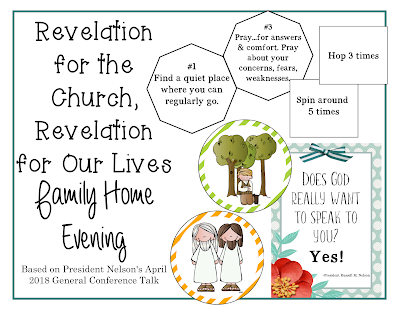 If using this for activity days we are also going to talk about the Holy Ghost and Personal Revelation. 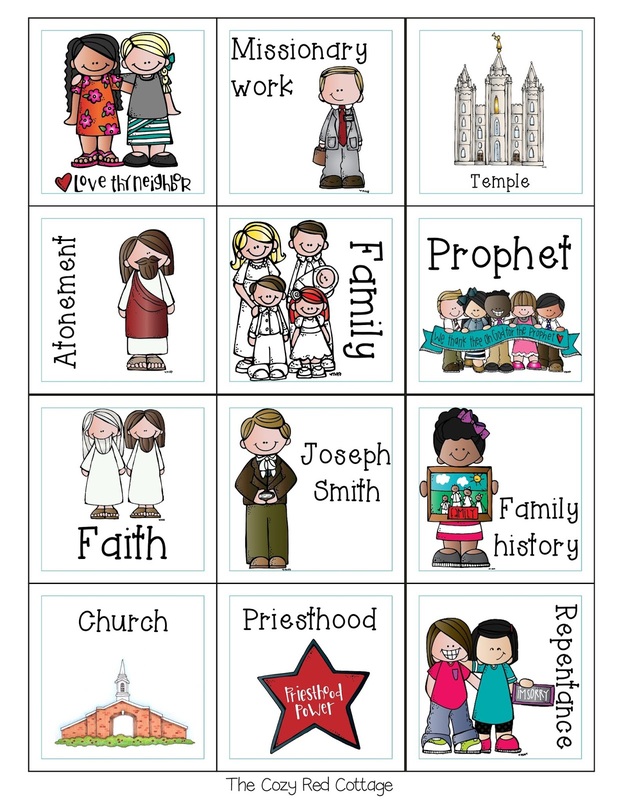 We are going to use this activity Share some of the quotes and play the game. 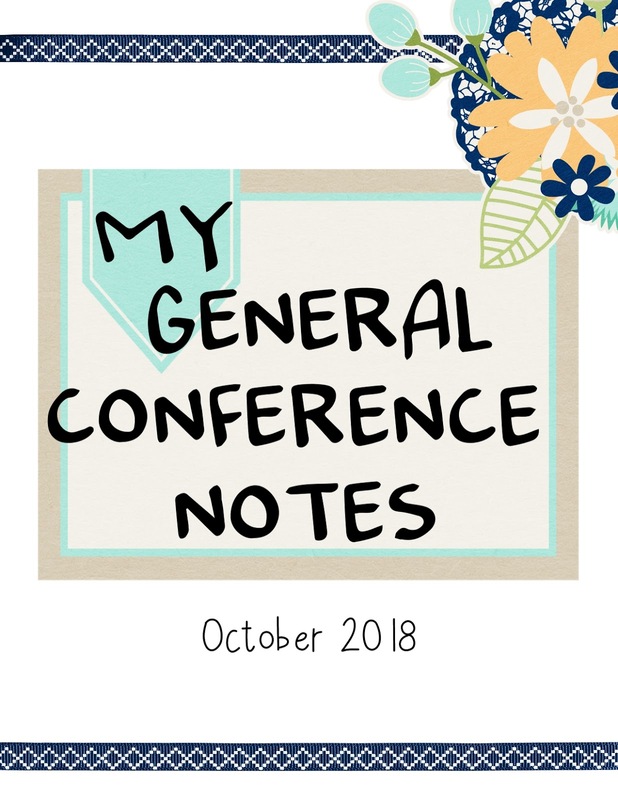 Put together the Conference Notebook and Play Bingo if time. 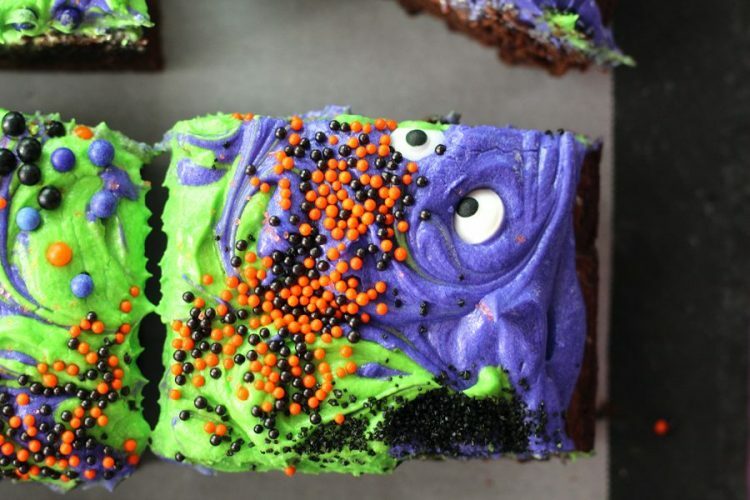 We also plan to make these fun Monster Mash Brownies found here. and I'm being super ambitious and we'll be making these cute black cats out of socks found here. 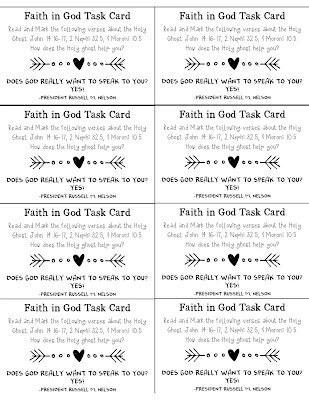 I'll be sending home these Faith in God Task Cards. Have the girls let you know if they finished at the next activity.